Does your site need immediate vegetation? The professionals at Reed Hydromulching, Inc. can help you achieve your desired results. Reed Hydromulch specializes in planting native Texas seed, which includes wild flowers and grasses. Our re-vegetation team has 50 years of combined experience throughout Texas, Oklahoma and Louisiana. Due to varying site conditions, a site visit is necessary to customize a plan to suit the customer’s needs. No till seed drills place seeds directly into the soil at the ideal depth without expensive soil preparation, saving the customer time and money. No-till seed drills eliminate tilling, which improves water absorption, increases organic matter retention, and salvages the nutrients in the soil, allowing re-vegetation. No-till drills enable the customer to more easily vary the types of vegetation without having to replace or replenish the current soil. You can be assured Reed Hydromulch uses only quality native seeds in our equipment. All equipment is thoroughly cleaned after every job so that the integrity of the planting can be ensured. Drill seeding is an agricultural process complete with a tractor and a specialized seeding attachment called a drill. The drill utilizes a mechanical mechanism to open a furrow, place the seed in the soil at a certain depth, then cover the seed with wheels or some sort of packing mechanism. The depth of the seed can be regulated as well as the rate of application. Low cost compared to other erosion control treatments. 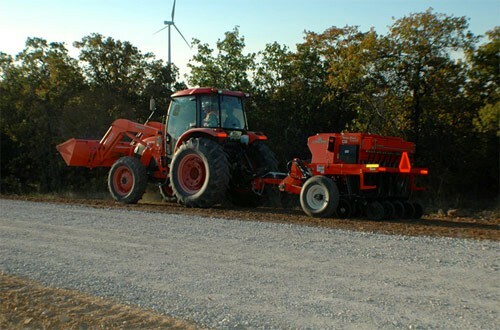 Placing the seed in the soil typically leads to better vegetative cover than hydroseed techniques due to additional protection from the sun, wind, birds and like items that typically inhibit seed germination. Generally more successful than Seeding or Erosion Control (Hydroseed). Requires only one-half the seeding rate of Seeding or Erosion Control (Hydroseed). 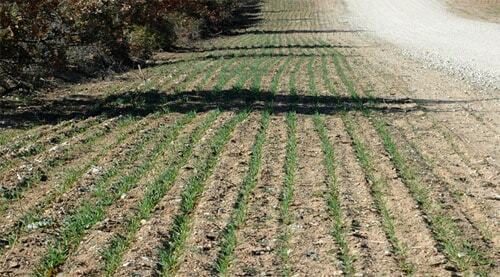 Vegetation provided by seed in this treatment provides long-term effective control of erosion.